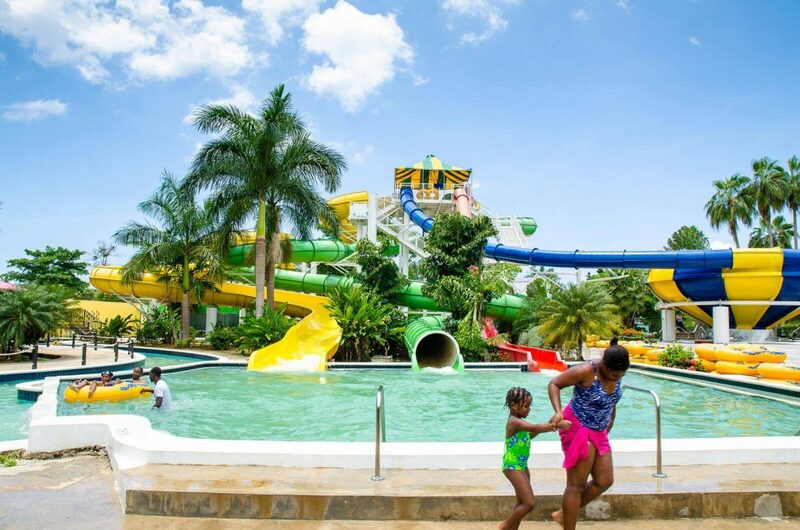 When planning a trip to a Kool Runnings Waterpark do you know what items to bring and what not to bring? Find out what we recommend here! Protecting yourself/children from the sun is very important. Bring sunblock with an SPF of 30 or more. Choose a waterproof version. Apply your sunscreen a half hour before you’ll be outside, and bring it with you so that you can reapply it. Bring baby sunscreen if needed. Reapply your sunscreen every two hours at least. You should put sunscreen on again after getting out of the water and drying off and reapply after riding any water slides. Bring one towel per person. This way you can use it to not only get dry but also use it on our sun loungers. You can wear swim goggles to shield your eyes from getting splashed by the water. We recommend that you test the seal of your goggles by putting them over your eyes without strapping them on. Press the lenses gently towards your eyes. If the lenses maintain suction for a few seconds without you holding them into place, they will provide good protection against water leakage. Also make sure you can adjust the straps so that the googles stay put without being too loose or too tight. Summer in Jamaica can be extremely hot and a day exposed to the sun can not only be very draining but can cause serious sun burn. We advise you to wear a hat – especially children. You will probably be walking around on concrete, and it may be very hot, so you want to have a better plan than bare feet. Bring water socks, flip flops, plastic shoes or water shoes. TIP: Have sandals with treaded or rubber soles to minimize your chances of slipping on wet walkways. We do have lockers that you can rent for the day but we do advise that you don’t bring any valuable items.